Alabama football takes center stage with the We're Not Finished Yet T-shirt! This 100% Cotton t-shirt includes Alabama Script A/Let Everybody Know graphic on front pocket. The back is loud and proud featuring We're Not Finished Yet with realistic elephant image. 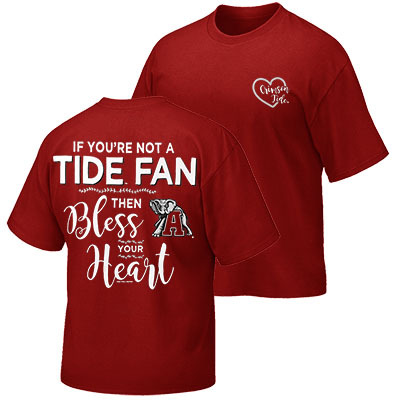 Unleash your Bama pride every time you step out in this bold t-shirt!